The application was originally developed by Apricote Studios (now Accountz), and Elesar Ltd recently took over sales and further development. 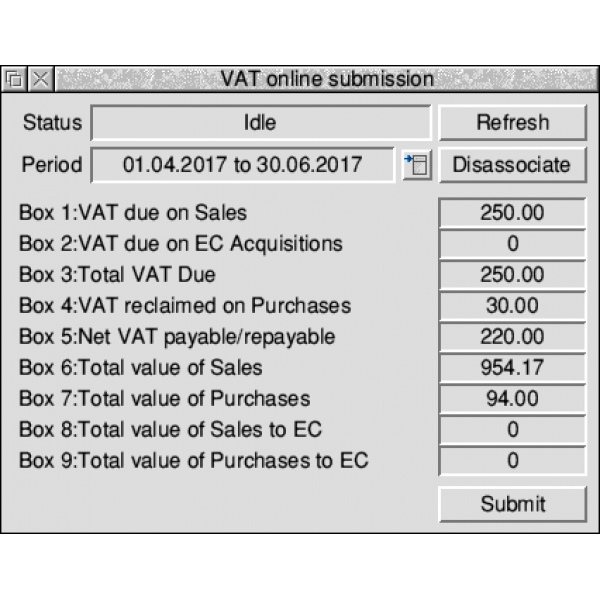 With Prophet already benefiting from a fully comprehensive VAT return function, Elesar has been busy adding the relevant MTD functionality, as described in this PDF. With this complete the software has now undergone the requisite approval process by HM Revenue & Customs (HMRC) – meaning it is now officially recognised and therefore ready for use. An important point with MTD is a recognition that not all existing software will be updated to support it, and migrating from a package that doesn’t to one that does – particularly for larger companies with more complicated records – could therefore be problematic. It is therefore possible to use a piece of software that ‘sits between’ existing accounting software and the HMRC submission gateway, in order to bridge the gap. For those businesses where something other than Prophet is used for record keeping, the software can also be used as bridging software in this way – there is a PDF available from Elesar explaining the procedure. The software costs £79.00 plus VAT for the latest version, with upgrade options available from 3.92 or earlier – for full details, please refer to the product page on Elesar’s website.